By Porsche Slocum Essence paid a respectful nod to Black music's movers and shakers. To kick off Black Music Month, Essence Communications, Inc. President Michelle Ebanks joined R&B songstress Ashanti (center) and Harlem's Apollo Theater for the ringing of the opening bell at the New York Stock Exchange. 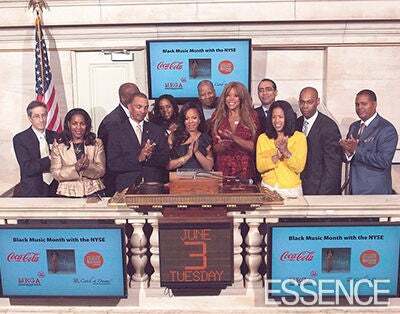 "Essence is pleased to join Coca-Cola to kick off this celebration of Black Music Month with the ringing of the NYSE opening bell," said Ebanks (in yellow), who stood next to radio disc jockey and author Wendy Williams. Essence paid a respectful nod to Black music’s movers and shakers. To kick off Black Music Month, Essence Communications, Inc. President Michelle Ebanks joined R&B songstress Ashanti (center) and Harlem’s Apollo Theater for the ringing of the opening bell at the New York Stock Exchange. “Essence is pleased to join Coca-Cola to kick off this celebration of Black Music Month with the ringing of the NYSE opening bell,” said Ebanks (in yellow), who stood next to radio disc jockey and author Wendy Williams. 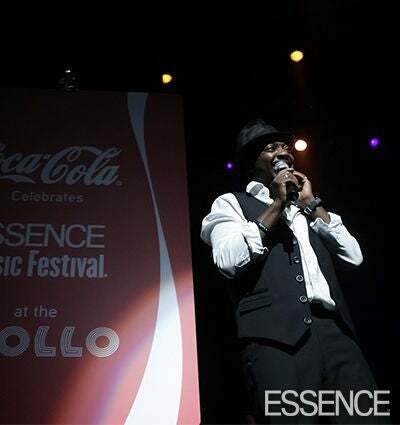 On June 5, acclaimed artists Anthony Hamilton, Faith Evans and Malcolm Jamal Warner offered their support by taking center stage and giving stellar performances for the pre-celebration “Coca-Cola Celebrates Essence Music Festival at The Apollo” for the magazine’s 14th annual party with a purpose, which takes place in New Orleans July 3 to 5. “The Apollo event is a great precursor to the Essence Music Festival,” said Ebanks. 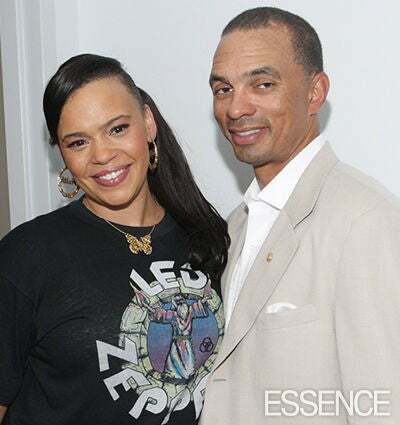 Faith Evans who brought down the house with classics such as 1998’s “Never Let You Go" strikes a pose with Steven Boyd, Vice President of the Northeast Region for Coca-Cola North America. Coca-Cola has been an official sponsor of the Apollo Theater since 1992 and teaming with Essence for this event seemed to be the perfect thing to do. “It just made sense that we bring these great brands together as the next step,” said Boyd. 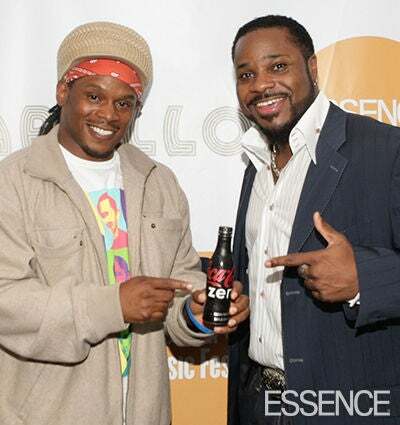 MTV’s community-conscious news anchor Sway who came to support his friends chills with actor and spoken word artist Malcolm Jamal Warner enjoy a coke and a smile at the Apollo Theater. “I know it’s the first of its kind but hopefully it’s not the first annual,” said Sway who confessed to reading ESSENCE for relationship and financial advice. “This event being in New York will give it the added flavor that will excite a lot of people." 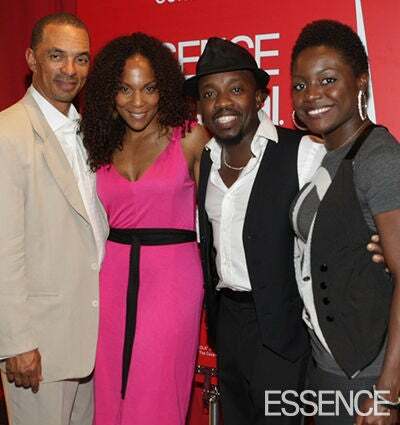 Coca-Cola’s Steven Boyd, WBLS radio personality and the evening’s host Jasmine Sanders, Anthony Hamilton and his wife Tarsha McMillian Hamilton who also performed, enjoy the musical celebration. 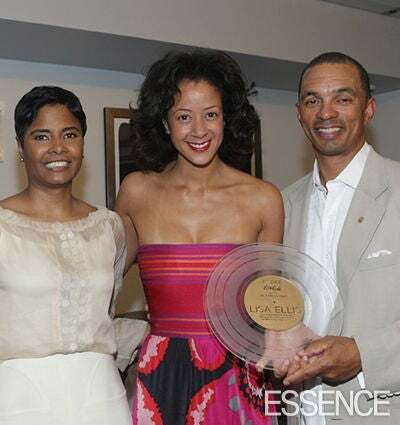 ESSENCE Editor-in-Chief Angela Burt-Murray (left) accompanied Vice President of the Northeast Region for Coca-Cola Steven Boyd to present Lisa Ellis, Executive Vice President, Sony Music Label Group, with the 2008 Trailblazer Award, honoring the executive for developing artists such as John Legend and Mariah Carey and to observe her various philanthropic efforts. Ellis commended Burt-Murray and ESSENCE on its success and constant relevance in the media realm. “Angela is a very dear supporter of my career,” she declared. “This magazine is not only influential to Black women but to all women." ESSENCE teamed with Toyota for a night on the runway at Manhattan trendy spot Eyebeam, where designer Alexis Phifer showcased her collection Ghita. 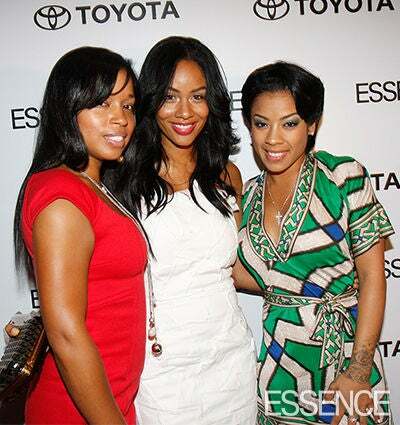 Artist Mashonda, Phifer and Keyshia Cole enjoy the festivities. 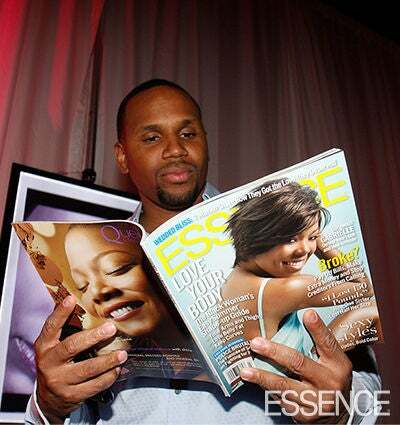 Singer Avant catches up on the latest issue of ESSENCE while making his way through the fashionable crowd. Alexis Phifer takes a bow on the runway.